The Two-step verification system is very important feature for all, that allows users to protect their online accounts from hackers. Microsoft on today announced, introduces 2 Step verification system for its products such as Outlook.com, Windows Live, Messanger and Skydrive. If you have enabled 2-Step verification system to you account, it requires additional access code to sign in to your account. You cannot sign in to your account without access code, even if you have password. 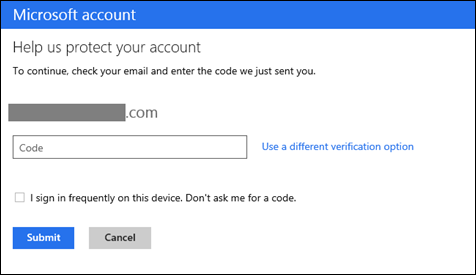 Two-step verification system protects you everywhere you use your Microsoft account on Windows 8, any Web browser, and even Microsoft apps and services on iOS and Android devices. If you are using Windows Phone, Microsoft released a new Microsoft Authenticator app for two-step verfication system. If you don’t use a Windows Phone, there are excellent authenticator apps that already exist for those platforms and are compatible with Microsoft account two-step verification.